The increasing notion of sustainable innovative, consumer-friendly, and flexible packing processes have revolutionised the packaging sector. Other than being extremely consumer-friendly, these types of packaging lends complete protection to the packed items and are extremely cost-effective as well. To put in definitive terms, flexible packaging denotes a package or a container made up of flexible and easy yielding material in which, when goods are packed, can easily change their shape. The flexible materials include paper, plastic, foil, or any combination of these materials. Some common examples of these flexi-packaging goods include rollstocks, bags, pouches, labels, wrappers, lids, shrinking sleeves, and stretch films. The global market for flexi-packaging materials is vast and with the advent of technology and consumer preferences, the pace is increasing exponentially. The global flexible packaging market is estimated to be quite high and growing. As the market is on an upward hike, research reveals that it is expected to reach a value of almost 292 billion USD by 2023. The growth rate for the flexible packaging market will continue to rise till 2023. This increased scope of demand will be mainly controlled by North America, Europe, Asia-Pacific, Latin America, the Middle-East and Africa. From 2015 onwards, this market has seen a continuous rise, with China being the largest market for consumer flexible packaging. China’s market has been followed by other nations, making up for 40% of the global volume, where Asian giants like India lead the regional market. According to market research, developing economies like China, India and other South-East Asian countries will keep increasing the demand for flexi-packaging materials as their goods and manufacturing industries are expanding. Europe, particularly the West European economies rank third in the global market, their demand shortly followed by North America. The major contributor to the growth of flexible packaging in North America and the EU nations are the rapidly developing food processing and food packaging sectors. Amidst this growth trend, the Central and Latin American nations have a downward demand slope as their economic conditions are deteriorating with constant political unrest. According to market research analysts, the stringent regulatory environment for the flexible packaging industry is holding back the true potential of the industry. From the application point of view, the flexible packaging market is broadly categorised into food and beverage, pharmaceuticals, cosmetics and miscellaneous. 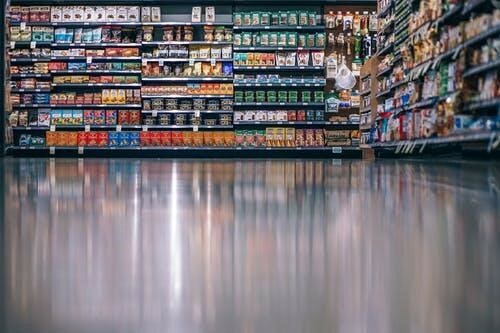 The food and beverage industry is monopolising the total consumption of flexible packaging accounting for more than half the share of the commercial market. Metalised films: One of the most significant innovations seen by the packaging industry was adding of a layer of aluminium to a polymer surface. Thus, the finished product possessed a glossy, metallic appearance. Additional benefits that this innovation brought was light-weightedness and much more resistance to water and oxygen. Atmospheric packaging: The introduction of MAP or Modified Atmospheric Packaging single-handedly revolutionised the food processing industry. MAP uses modification of the internal environment of the packaged food by regulating the emission and transmission rates of oxygen and carbon dioxide. Thus the shelf life of the food increases. Natural deterioration is reduced to a great extent and food remains fresh for a longer period of time. Active packaging: Mixing of certain additives to the flexi-packaging film gives rise to active packaging materials. These films can control and even eliminate many of the variables that can actually contribute to food becoming stale. Edible or soluble films: One of the most recent developments in the flexi-processing field is introduction of environment-friendly edible films. Research suggests that edible films and coats enhance the food quality by extending its shelf life. Initially cellulose was used as an edible packaging film, however, the use of whey protein is gaining popularity. Whey protein films are water resistant; they provide a strong barrier against oxygen or any other aroma that can jeopardise food quality. As a product, they are glossy and transparent sans any aroma or taste. Although this particular field is in its infant stage, plenty of research is being conducted to explore its full potential, it is gaining popularity. Intelligent packaging: Intelligent packaging is the fruit of biotechnology where materials like silver or naringinase enzyme can detect microbial growth or change in the environment thus preserving the quality of the packaged food. With advancement in biotechnology and nanotechnology, the scope for innovating flexible packaging is endless. As the manufacturing and development industries are growing in number, the market for packaging will continue to expand thus increasing sustainability. Written by IoSCM Guest writer, Ethan Scott.